1. Don't travel from your luxury hotel to the concert venue with fellow hacks in an air-conditioned bus complete with minder. Instead walk to the concert with lesser mortals - Fes is the best place in the world to walk for heaven's sake. 2. Even better pay your own way to Morocco and buy your own festival ticket. That way you won't be hassled for being a journalist. 3. Understand that the Western media's love affair with scuttlebut journalism may have contributed to the Fes festival organiser's nervousness about press coverage. 4. Even though you are a self-confessed member of an "extremely grumpy media contingent", still try to communicate to your readers the background to behaviour that may be inconvenient and even unacceptable, but which has some justification. 5. Remember that diversity is not just confined to music: you are visiting Morocco, not Glyndebourne. The writer of this post does not request anonymity as he is not worried about losing press privileges. He is Bob Shingleton, who has written about both the dark and the inspirational sides of Morocco. What samasprit's journalistic credentials are, or why he should request anonymity is not clear. Seeing that new link makes me think - would an accredited journalist really shoot two minutes of illegal (breach of copyright) video concert footage and immediately upload it to YouTube? Who is samasprit? Help from the sleuths among my readers would be welcome. We all have better things to do than reconfirming the poor quality of Lebrecht's journalism. But he does seem anxious to throw inquisitive minds off the samasprit scent with a new post of more footage from the Fes festival sprinkled with lots of different names. So it would be interesting to uncover the provenance of that samasprit report. Bob, I was just wondering if you have looked at "samasprit"'s page on YT. Apart from the Fes Festival post, he seems to have approved a tribute to John Lennon, subscribed to a comedy network, and that's about it. Rather a nonentity, I have to say. Re the name, 'sama' could mean 'listening' in a Sufi context, as in the rite of that name, and perhaps 'sprit' is 'spirit' with an elided 'i'. I've noticed that the phrase 'sama sprit' occurs in Indonesian and only in that language. Therein, 'sama' means 'same', but damned if I can find a translation for 'sprit' from Indonesian or any other language. Not very helpful, I'm afraid. Thanks Philip, and, yes, that samasprit trail does seem to lead to a dead-end. There are better things to spend our time on. But the screaming headline was 'Exclusive - international festival bars journalists from opening show'. Does what we know of samasprit really fit the profile of an established journalist? Was the anonymity because he/she is not? Was the smokescreen of other names in subsequent posts an attempt to confuse? 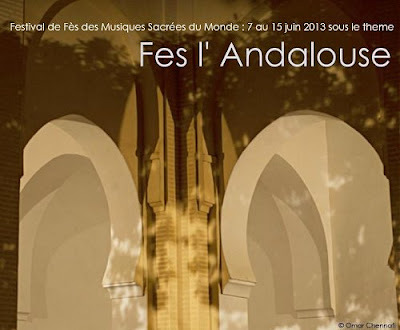 Are there any corroborating reports of journalists being barred from the Fes festival elsewhere? As Lebrecht is used as an "authority" by not only BBC Radio 3 but also BBC current affairs programmes these questions are not unimportant.